This product is not compatible with the full Kontakt 4 or 5 Factory Libraries. 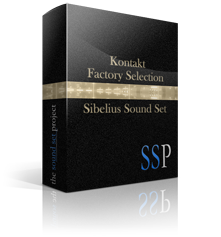 The Kontakt Factory Selection sample library must be purchased separately. This product facilitates use of the Kontakt Factory Selection sample library in Sibelius. IT IS NOT A SAMPLE LIBRARY and DOES NOT CONTAIN ANY SOUNDS. To purchase the Kontakt Factory Selection sample library, please visit the Native Instruments website. Kontakt Factory Selection © Native Instruments GmbH.